*Radio’s oldest technology isn’t going down without a fight. As the FCC continues its evaluation of new rules for the AM band, several broadcasters who own class A AM signals are looking for evidence they can bring to the Commission to show that skywave reception of distant AM stations still matters. The Federal Communications Commission (FCC) recently proposed measures that would permit greater interference on WGY, which will reduce WGY’s ability to provide you with quality broadcasting at night. That means if their proposal passes, it will make it very difficult for many of you to hear our programming at night and during morning and evening drive times. It’s all part of the ongoing “AM Improvement” proceeding, the same one that created the AM translator window that’s been so busy lately. As the FCC moves into the next phase of the proceeding, one proposal on the table would take away the protection that class A stations still enjoy for their skywave signals. Those in favor of the idea say it would give smaller-market AMs an opportunity to extend their programming after sunset; on 810, for instance, stations in places such as Annapolis, Maryland and Grand Rapids, Michigan that must now protect WGY’s distant signal would be able to retain more of their daytime coverage areas at night. But here’s the problem: as we’ve noted over and over again, both here and in filings to the Commission, the medium-wave frequencies at which AM radio operates simply don’t play by neat rules. Whether or not it’s of any economic advantage, the signal WGY sends out will travel at night – and so will the signals that get added to class A channels like 810 if the FCC reduces or eliminates skywave protection. Which means not only that the stations getting new night signals may find they don’t get very far, but that stations like WGY, KDKA, WTIC and WBZ that are now the only truly viable AM signals across their sprawling markets will get significant added interference within those home markets, reducing their ability to reach local audiences effectively and rendering them more like the increasingly noisy class B channels that now typically reach only parts of large markets clearly. How, exactly, does that benefit AM radio overall? 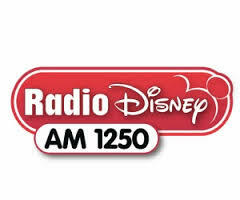 *It’s not going especially quickly, and certainly not especially profitably for Disney, but the former Radio Disney network of AM signals is going away, bit by bit. This past week brought two big developments: the return to the air of former Disney station WQEW (1560) in NEW YORK, and in western PENNSYLVANIA the impending sale of WDDZ (1250 Pittsburgh). So what’s a 5000-watt signal worth these days in Pittsburgh? If you’re Salem (doing business as “Pennsylvania Media Associates”), it’s an even $1 million, less than half what Salem’s paying for its other Disney acquisition, WDWD (590 Atlanta). Why the disparity? The Atlanta signal comes with a big piece of land in the suburbs – but the Pittsburgh signal has been a tenant at its longtime South Hills transmitter site ever since Jacor sold the AM off separately from its FM sister (now WKST-FM 96.1) back in 1999. It’s not hard to guess the “Answer” about what Salem will do with 1250: in a market where its two existing signals, WPIT (730) and WORD-FM (101.5), both do religion, the logical choice for a third signal will be the conservative talk format that Salem has been branding as “The Answer” all over the country. That’s especially logical in Pittsburgh, where the talk audience is somewhat in play after Clear Channel moved the top-tier syndicated players from FM to new talk entrant WJAS (1320) last year. *The FCC has quietly approved an unusual frequency change in eastern MASSACHUSETTS, allowing WWRN (91.5 Rockport) to slide down the dial to 88.5. Light of Life Ministries put the religious station on the air in 2012, but faced the very real possibility of being bumped off the air when the FCC finally ruled last December on appeals of several dismissed applications from the 2007 noncommercial FM filing window. The University of Massachusetts filed for 91.5 in Gloucester in that window, and the FCC reinstated its application, which had initially been tossed out for a typo in the transmitter coordinates. Assuming UMass still wants the Gloucester facility (it last corresponded with the FCC about it back in 2009), the next step appears to be FCC approval of its 2007 application, which would overturn the initial grant to Light of Life. It’s not yet clear whether Light of Life will immediately proceed on WWRN’s move from 91.5 to 88.5, or whether it will wait to see if UMass actually gets its 91.5 grant. It’ll always be “Gil’s chair” to us, but the morning sports anchor seat on WBZ (1030) has a new occupant: Adam Kaufman has been promoted to that role after working part-time at the CBS Radio news outlet. The very busy Kaufman is also a host on sister station WBZ-FM (98.5 the Sports Hub) and on the CBS Sports Radio network, as well as at Comcast Sports Network. *Saga’s Manchester, NEW HAMPSHIRE cluster never really made a formal announcement about the format change, but the last bits of standards on WFEA (1370 Manchester)’s schedule have now been replaced by “More Stimulating Talk.” We’d already noted Howie Carr’s addition to the WFEA schedule a few weeks ago in afternoon drive; the rest of the weekday syndication lineup includes Doug Stephan in mornings, Laura Ingraham (spelled correctly!) at 9, the new Jonathon Brandmeier show at noon, Mark Levin at 7 PM, John Bachelor at 10 PM and Overnight America at 1 AM. *Some sad news out of central PENNSYLVANIA begins our abbreviated report this week: Bob O’Brien worked in radio in the 1970s in New York and New Jersey and then landed at WFEC (1400 Harrisburg) during the end of that station’s long run with top-40 – but he really made a name for himself in the years that followed, both as a popular DJ at events and as a friend to many other Pennsylvania jocks and programmers.Last Thursday (Feb. 24), O’Brien was driving on I-81 when another driver crossed the median and slammed into his car, killing him. O’Brien was just 60. *In Erie, Bill Shannon is selling translator W285AI (104.9) to Citadel, which had already announced plans to simulcast its sports station, WRIE (1260), on the FM signal. Sale price for the translator is $62.500. *In NEW YORK‘s Hudson Valley, Sunrise Broadcasting’s new WGNY-FM (98.9 Rosendale) is officially on the air now, and as promised on the station’s website, it’s picking up the same oldies feed (largely via satellite) that’s been heard on the existing WGNY (1220 Newburgh) and WDLC (1490 Port Jervis), not to mention the HD2 channel of WJGK (103.1 Newburgh), which makes for quite a mouthful at legal ID time. Word is that WGNY-FM’s own HD2 channel, which will feature a rhythmic format, isn’t yet on the air…but in the meantime, we can at least offer you a first glimpse at the WGNY-FM antenna on a ridge north of Poughkeepsie. Meanwhile at the Cumulus cluster, there appear to be changes coming at WCZX (97.7 Hyde Park): veteran morning man Bob Miller and middayer Suzy Garcia are gone and the website of the AC station has been scrubbed, replaced with an announcement that “The New Mix is coming” on Thursday. Miller had been with the station since 1994. And up in the northern reaches of the valley, community station WGXC (90.7 Acra) made its on-air debut at 2:00 Saturday afternoon, serving Greene and Columbia counties and vicinity. Sports fans everywhere mourned the loss of Curt Gowdy last week. As we reported in an update to last week’s NERW, Gowdy died last Monday morning (Feb. 20) in Florida, at age 86. Gowdy came to Boston in 1951 after several years calling games in New York, and for the next fifteen seasons he was a fixture in the Red Sox booth. And while he went on to even greater heights as a network broadcaster (calling the first Super Bowl and five more thereafter, as well as the World Series and almost every other major sporting event), he remained fondly remembered by Sox fans. Last August, the Sox honored him with a special day at Fenway Park, Gowdy’s last Boston appearance. And on Saturday, his funeral procession circled Fenway, in a final gesture of respect to the man whose low-key style defined Red Sox radio for decades to follow. Gowdy was, of course, also a broadcast owner in the region. In 1963, he bought WCCM (800) and WCCM-FM (93.7) in Lawrence, later renaming the FM after himself – WCGY. In 1969, Gowdy added WBBX (1380) in Portsmouth, NEW HAMPSHIRE to his holdings, which also included KOWB (1290) and KCGY (95.1) in Laramie, Wyoming. Gowdy sold WBBX in the eighties, followed in 1994 by WCCM/WCGY and in 2002 by the Wyoming stations. Does a nation still coming to terms with the impending loss of UPN and The WB really need another new TV network? Whether or not it does, it’s getting one – at least in NEW YORK and nine other markets where Fox Television Stations needs something to fill the prime-time slots about to be left empty by the demise of UPN. Fox will replace UPN on WWOR (Channel 9) with something called “My Network TV,” a mini-network that will launch with two English-language “telenovelas,” an attempt to translate the success of that format in the Spanish TV world, where nightly hour-long dramas that run for several months at a stretch are a programming staple. NEW HAMPSHIRE is next on NERW’s agenda, and have we ever been hearing a lot about that religious pirate on 88.7 somewhere around Londonderry! It’s been on the air just about every night, we’re told, with nary an ID to be heard. The end could be in sight, though: one NERW reader checked in to report that the pirate’s second harmonic, at 177.4 MHz, was wreaking havoc with his reception of WHDH-TV, whose channel 7 occupies 174-180 MHz. WHDH has been alerted to the problem, and that’s the sort of complaint that tends to send the Enforcement Bureau running. The big news in MAINE is a new simulcast in the Bangor area. WNSX (97.7 Winter Harbor) dropped its relay of former sister station WMDI (107.7 Bar Harbor) this week to join its new Clear Channel sister station in Searsport with classic rock as “The Fox at 97.7 and 101.7.” The Searsport station gets new calls, too, changing from WBYA to WFCX. A few tidbits from across PENNSYLVANIA: Pittsburgh’s own Clarke Ingram checked in with a format shift at the station he programs in the Steel City. Don’t call “The Beat” (WJJJ 104.7) “Jammin’ Oldies” anymore; the new phrase is “Jammin’ Hits,” with an added emphasis on more recent rhythmic tunes. Being from Pittsburgh, in the seventies and living in Omaha, then Manassas Virginia it was nice at night to listen to the Penguins and the Pirates on KDKA .in Omaha there’s now a 50000 watt station on 1020 with I believe 2500 Watts night. I’m not in favor of Daytimers on these channels adding night service. Let NO station interfere with WBZ. They are live and LOCAL 24/7. People all over the US tune in nighty. They were clear channel for decades except for a station in Wyoming which is highly directional to protect WBZ. While I understand the need for local radio to serve the local community I think the needs of the many(those reached by WBZ and other clear channel signals) outweigh the needs of the few (those who would be served by a local signal in a small market.) Why not have those stations apply to move to the expanded band. In most cases isn’t it just a crystal change in the transmitter? Those that are only ones who should move. Just the way I see this whole mess…. We need more flea powered AM’s cluttering up the band with network sports and talk feeds like Custer needed more Indians at his last stand! Leave the clears alone! If a local station was to offer live, local programming featuring hard to find oldies, standards, and nostalgia formats, that may be worth some interference. But in the end that will most likely not profit them, and we will just have more low power sports net stations soon after the so called “conditional for local programming” night operation approval. Want to improve the band? Any station that cannot operate at 500 watts non directional on their present frequency after dark should be ordered to be daytime only after a certain date. Now we might have a usable AM band after dark! As children in the 1950s, we had no alternative to AM skywave stations at night since locals went off at midnight. All skywave signals suffer selective fading, during which music and voice are unpleasantly distorted at regular intervals. We have come a long way toward more listenable alternatives to AM radio and skywave in particular. AM broadcasting is fast becoming a relic in our time and the move to simulcast on FM repeaters is a welcome reprieve for them. I have a question for the community: Do you believe that the FCC will eventually allow the FM simulcasts to go silent on AM? Thanks you for the opportunity to air my views….Arthur. WGY’s claim of losing 46% of their audience is BS. 46% of their POTENTIAL (nighttime) audience, yes. Audience, no! WGY is just trying to scare the ground-wave audience into thinking that the signal within 75 miles of their tower will be so highly compromised, listeners won’t be able to hear it well. Who, these days, is listening to the fade-in-fade-out clears at night? Not many at all, especially with all of this new media. What WGY is afraid of is losing possible scattered audience in Annapolis (WYRE), and near Pittsburgh (WEDO), and Indianapolis (WSYW). Those stations, off at night, could serve their cities with minimum power that would not erode WGY’s signal anywhere near New York State. – Such smaller stations should be granted non-directional 250 watts at 540… going gradually up to 1000 watts on 1600.The needs of the many (various stations’ close-by listeners) outweigh the needs of the few (WGY’s very scattered listeners in those 3 distant cities). I agree, it’s somewhat laughable that WGY is concerned about listeners in far-flung states. iHeart can’t possibly be reaping any benefit from a stray handful of people writing “WGY” in their ratings booklets hundreds of miles and dozens of markets away from Albany. No local advertiser in Albany cares if someone in Wyoming heard their spot at 3:05am. Besides, if anyone six states away REALLY wants to hear WGY, they can easily do so online, and get a much clearer signal. Perhaps the FCC could allow a “test period” where other stations can gradually increase power at night to see how far they can go before they have a *real* impact on WGY (or any other clear channel) within its own listening area. We might find that some stations can increase a lot, and others might only be able to increase a little bit. If it works, great. If it doesn’t, it doesn’t, but at least they can say they tried and we can put all the “what if” arguments to bed.